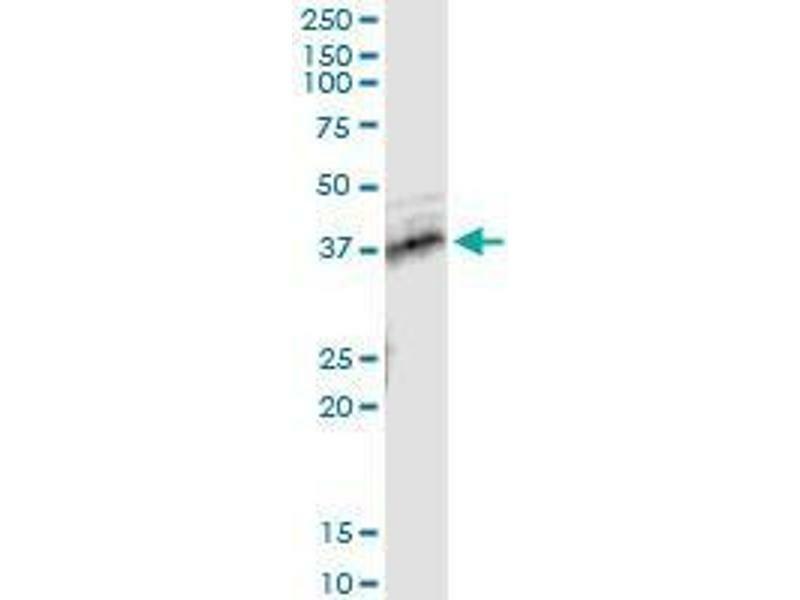 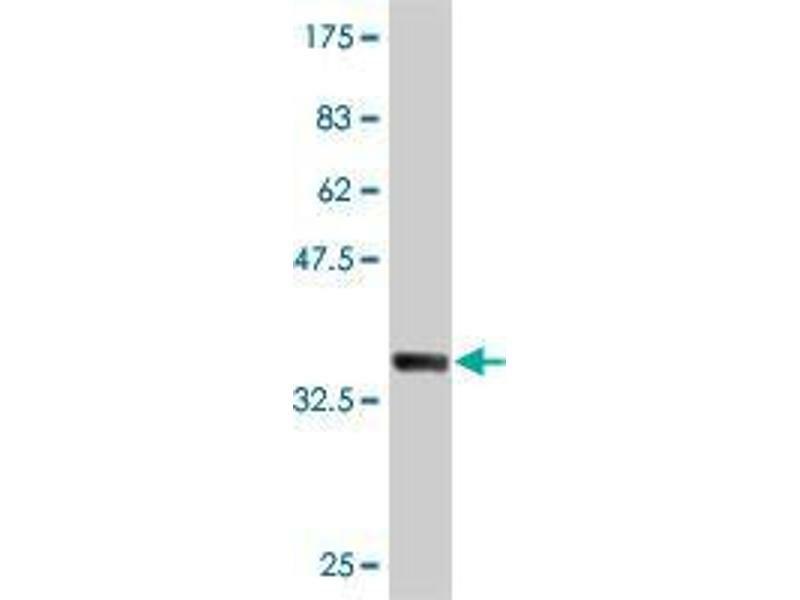 Immunoprecipitation of TNFRSF10B transfected lysate using anti-TNFRSF10B monoclonal antibody and Protein A Magnetic Bead (U0007), and immunoblotted with TNFRSF10B MaxPab rabbit polyclonal antibody. 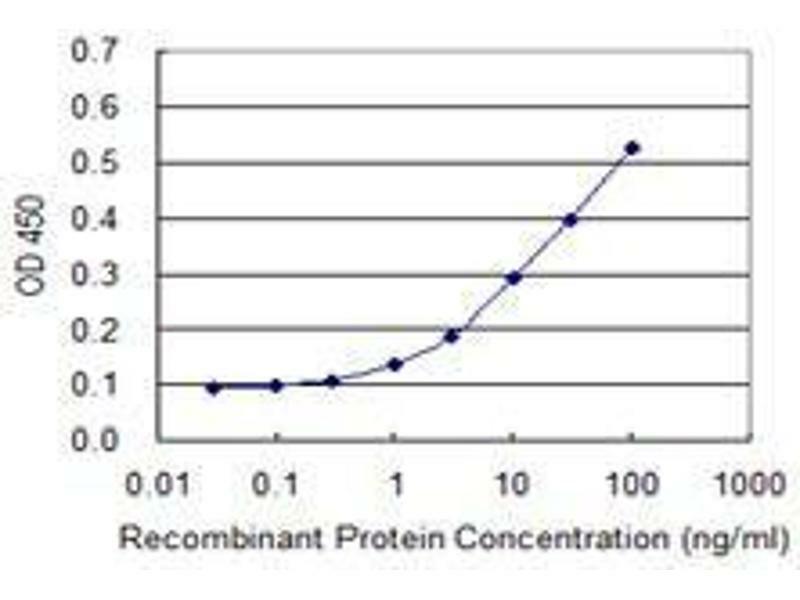 Detection limit for recombinant GST tagged TNFRSF10B is approximately 1ng/ml as a capture antibody. 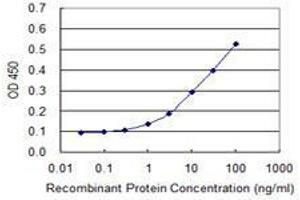 Target/Specificity: TNFRSF10B (AAH01281, 71 a.a. ~ 170 a.a) partial recombinant protein with GST tag. MW of the GST tag alone is 26 KDa.